Place the meat on a grill tray, reserving the marinade to baste whilst cooking. 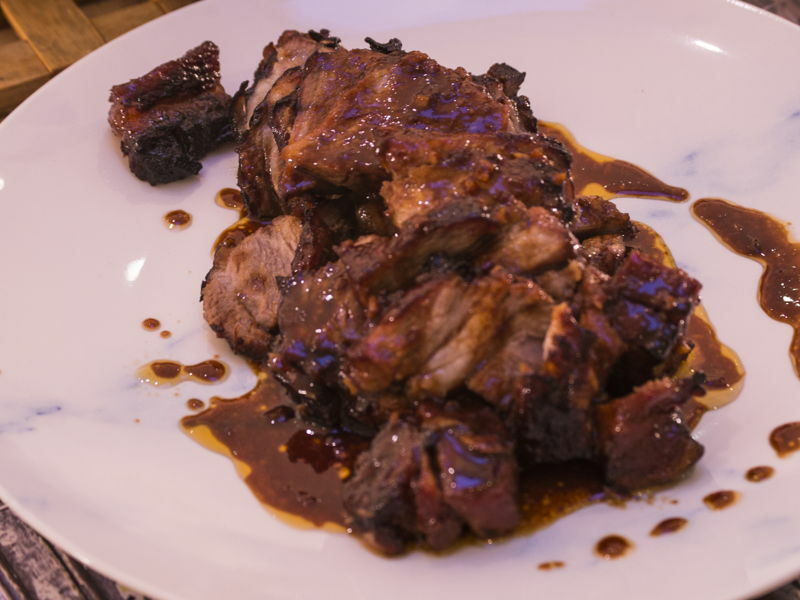 Preheat the oven to 150°C and roast the pork for 1 – 1 ½ hours until well charred on the outside, turning once and basting intermittently with the sauce to get a good caramelised finish on the meat. The slower the cooking process, the more succulent the meat will become. If barbecuing instead of roasting, get your barbecue temperature as close to 150°C as possible and then barbecue for 1 – 1 ½ hours until well charred on the outside. Baste as you would in the oven for more flavour and caramelisation. For a quick dinner, you may also cook this quickly in a preheated oven at 180°C for 20 minutes on either side, turning once to char both sides of meat and basting every 10 minutes or so for added depth of flavour.